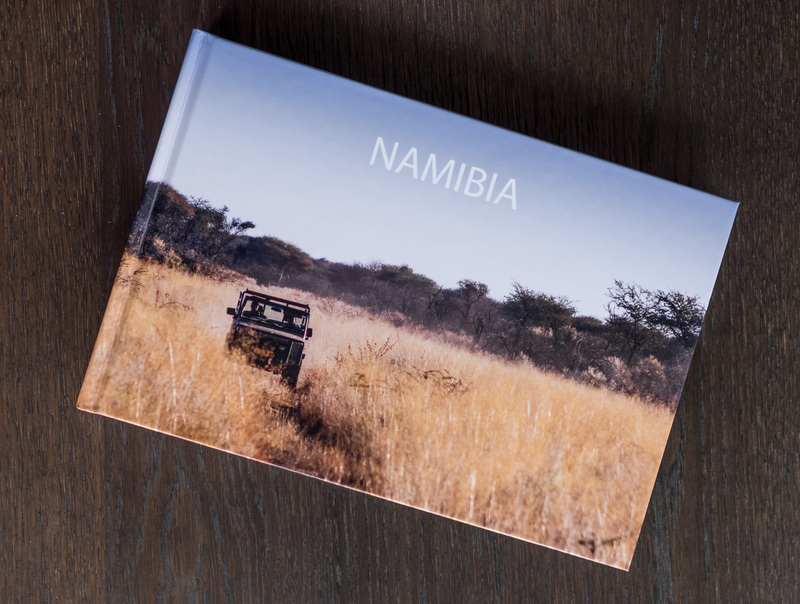 After our travels through Namibia this summer my family decided that after years of abstinence it was time for another photo album. Not one of the ancient type, with printed out pictures glued onto empty pages and labelled with a fountain pen, no – it’s the 21st century. So we dove into the depths of the world wide web to find a suitable source and ended up on the homepage of German online photo lab Saal Digital. They had received some rave reviews for quick delivery and high quality, so we decided to go with them. 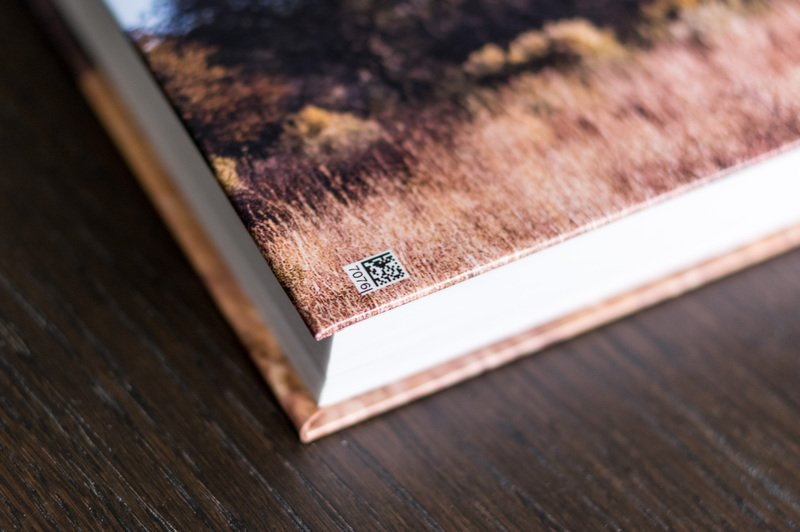 Saal offers photo books in a number of formats, from 12×12 cm to 42×28 cm, different bindings (soft- or hardcover), glossy, matte or leather cover, matte or glossy pages, gift wrapping and a number of additional options. We went for 28×19 cm (A4 panorama), a glossy cover, matte pages and ended up with 118 pages. The nominal price of €85.15 and €3.95 postage was reduced by a €15 coupon offered to all first-time customers, so the total came to €74.10. To create a photo book with Saal one first needs to download and install their proprietary software based on Adobe source code. Installation is easy and quick, and once opened one can pick any of the offered products to start. After picking a photo book one begins with a couple of pages and can keep adding more. Grid lines and object boxes help in consistently positioning images in the right place and at the right size, images can be rotated, mirrored and cropped, and a little box indicates the estimated printed image quality based on the image’s resolution and selected size. The software also warns of potential bleed which occurs when an image is positioned too close to where the pages will be cut after printing. The project can be saved, closed and reopened at any time, and exported as a PDF. Overall the software worked quite well, but what annoyed the hell out of me was the fact that when zoomed in moving the field of view either vertically or horizontally needs to be done via the sliders on the edges – you cannot intuitively move around via the trackpad. The language can be set to German, English, Italian, French or Spanish which caters to people in those European countries Saal delivers to. 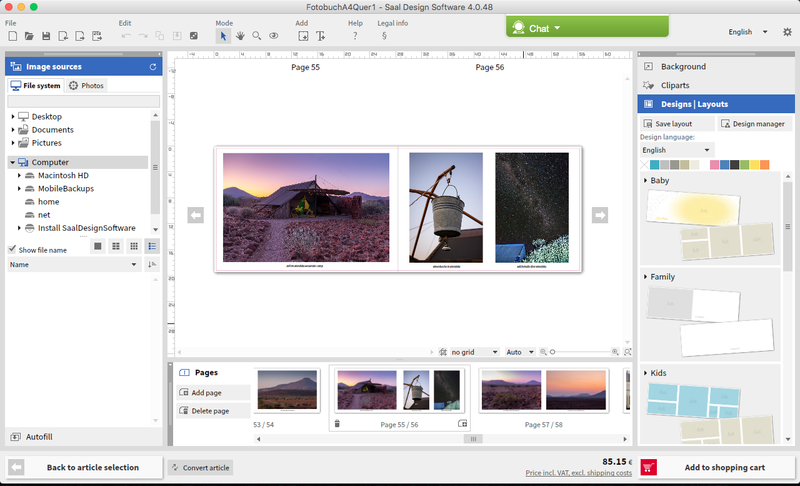 For advanced users Saal offers an ICC profile that can be downloaded and used for soft proofing in Adobe Lightroom (only from version 6 on) and Photoshop, and those who prefer to create a project with their editing program of choice instead of Saal’s software are free to upload PDFs for printing. Saal promises delivery of their products one to two working days after ordering online. I submitted the photo book on a Sunday and we were informed that it had been posted the following day around noon. Now that’s what I call fast. The book arrived on Wednesday. Naturally I was eager to see the final product, but it took a couple of weeks until I visited my family in Germany and could inspect the final result. 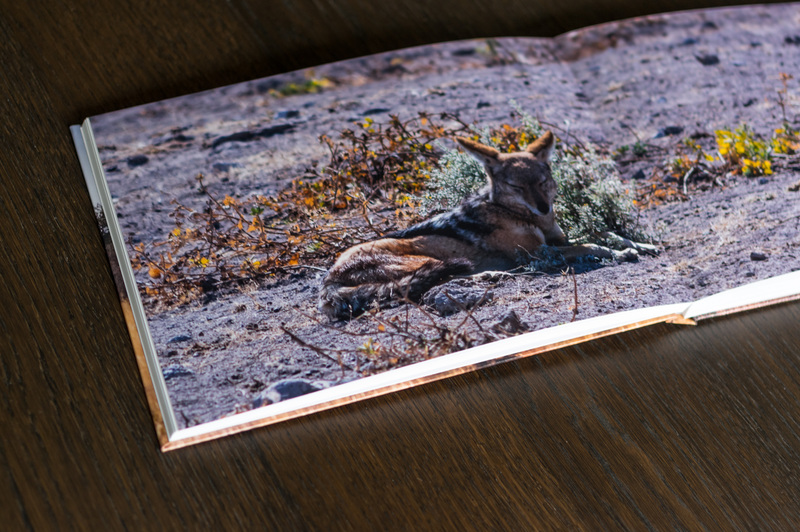 The material quality is on a very high level, holding the book does not feel any different from holding a professionally published coffee table book. The cover and back, while glossy, do not seem to be prone to draw fingerprints, and neither do the matte pages. The pages are rather thick, due to the images being developed on proper photographic paper and then being glued together back to back, and ooze quality. 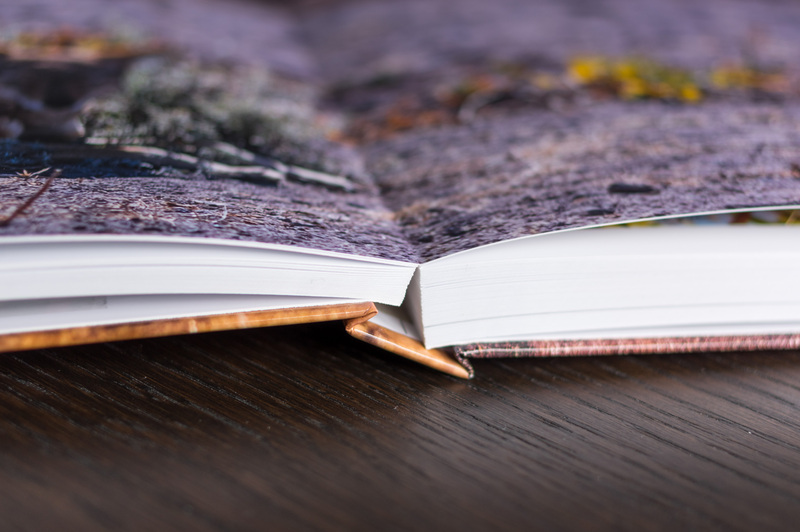 Saal employs LayFlat binding that results in opposite pages forming a uniform, almost perfectly flat surface as opposed to standard binding where a marked fold makes it difficult to see things that are close to the pages’ inner margin. This system allows to view panoramic images in their full glory. On another positive note, in contrast to cheaper providers Saal refrain from adding their own logo or brand name to the back – there is only a tiny QR code to be found in the lower left corner, and one on the last page. 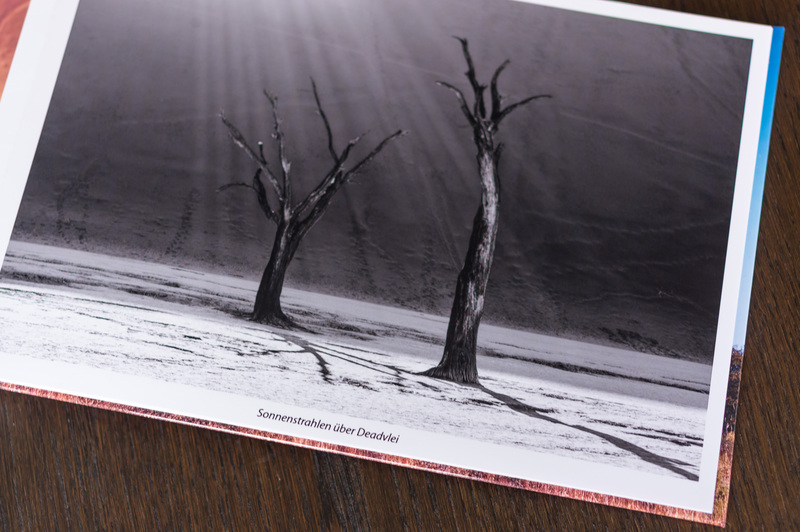 The print quality is very high throughout, images are razor sharp. If I press my nose against the paper, all I see is plenty of detail. The colours are vivid and the images show a rich range of tones. On the other side, shadows seem a tad bit dark and contrast is a bit high for my liking. I did increase the exposure of the images in anticipation of prints turning out darker than the image shown on a backlit screen, but I did not employ soft proofing because … I don’t know, I think I wasn’t aware it is available. There are some reflections visible despite the matte finish, but that is to be expected. 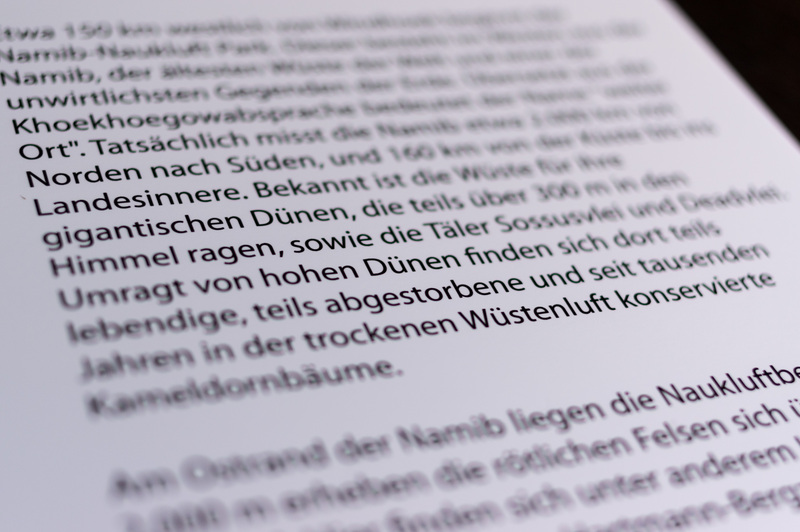 The quality of the printed text is similar to that of the images – the letters are very sharp, have good contrast and do not show a shadow. Apart from one or two annoying little details the software is easy to use, delivery is extremely fast and the final product is of a very high quality. Only too dark shadows and somewhat high contrast mar the overall very positive impression, but I hesitate to blame Saal as I did not soft proof the images before submitting them for printing. The blame might well be on me. 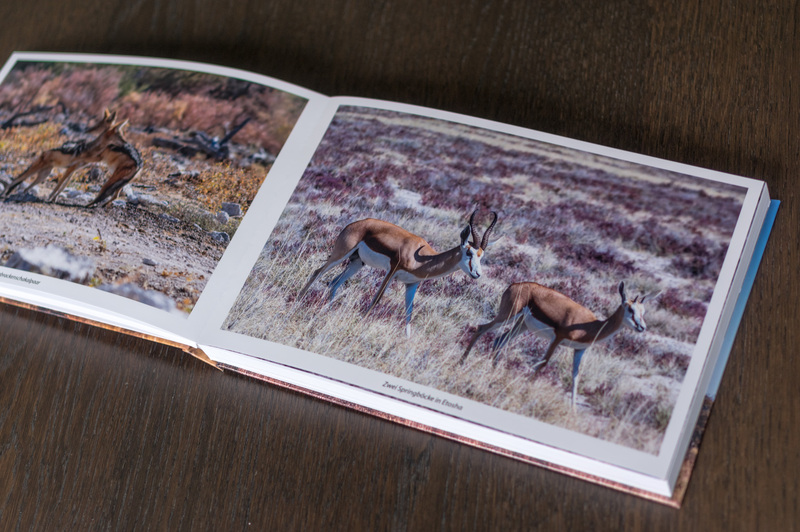 But as great as a product you get, there is no denying that the Saal Digital Photobook is not a budget option. There are a few more expensive options, but there are a whole bunch of cheaper ones too. If you plan to fill a shelf with photo books of every vacation and social event, you might be better off choosing a more affordable alternative. However, if like me a photo book is something you order rarely, and only for special occasions (or to show your portfolio), then spending a bit more on this level of quality might well be worth it.